A. Gallagher & Son are based in Bangor Gwynedd and also cover Conwy and Anglesey. We are MCS accredited which means you will be entitled to feed-in tarrifs after our Solar panel installations. 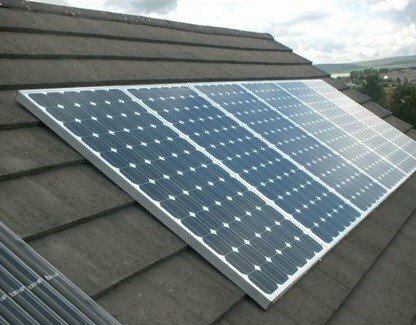 We specialise in the installation of the most up to date solar photovoltaic (PV) electricity systems. We are committed to excellent customer service, quality products and clean energy; we quote and deliver the most cost effective solar PV energy systems which can dramatically reduce your energy bills and your carbon footprint. We employ highly skilled solar PV electricians with part p qualifications and PV installer certificates to install Solar Electricity. We also employ plumbers who are certified in part G3 unvented hot water. Together with our qualified roofers, we can guarentee products are installed correctly without the risk of a leaking roof through poor workmanship. We can also quote you a price on system inspections in and around Bangor Gwynedd, Anglesey and Conwy. A. Gallagher & Son install high quality solar electric photovoltaic (PV) panel systems which guarantee high performance whatever the weather. 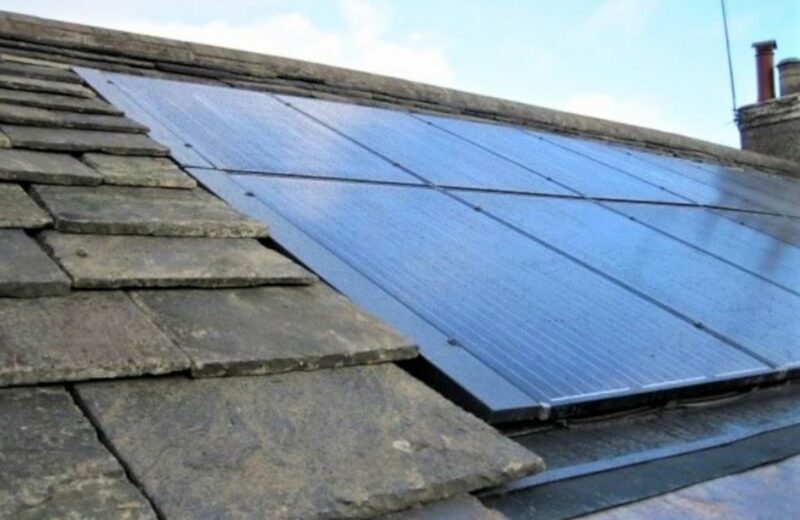 The Solar energy systems are extremely durable and reliable as they have been designed specifically for the northern hemisphere climate such as Anglesey, Gwynedd and Conwy. There is minimal maintenance as there is very little which can go wrong with solar pv, as the rewards are both financial and environmental. The panels we install do not require direct sunshine but operate on radiated light. This means on a typical cloudy British day, our solar heating systems will still produce high levels of solar pv electricity. Contact us for a free estimate. today. Our customers are eligible for extra cash through a set “feed-in tariff” (15.44p per kWh) issued towards the cost of creating solar electricity. This means the more energy your system creates, the more money you will recieve. 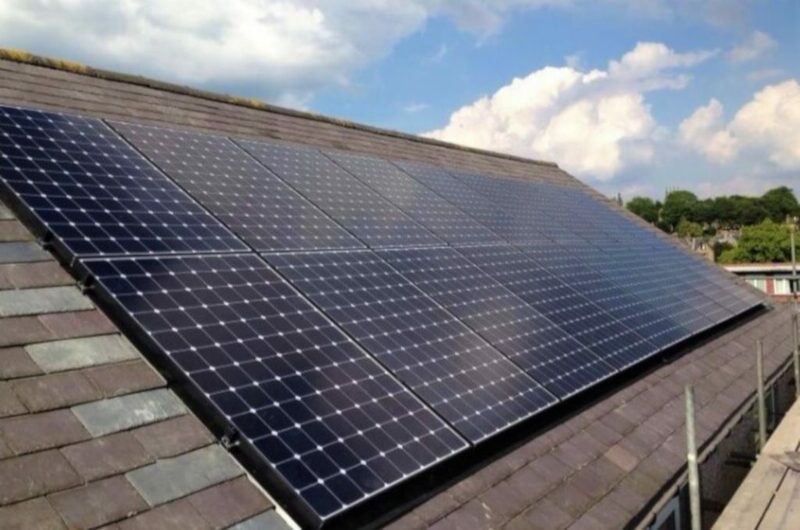 Our typical Solar PV panel installation will take 5 years to pay for itself, large proffits will be made thereafter and you will then carry on saving on your energy bills. Please contact us our base in Bangor, if you live in or around Anglesey, Gwynedd or Conwy for a free quote/estimate with acomprehensive chart of figures. This will give you the exact calculations so you can see how much you will save and make in proffit. The “feed in tariff” cannot be obtained through any non accredited companies. 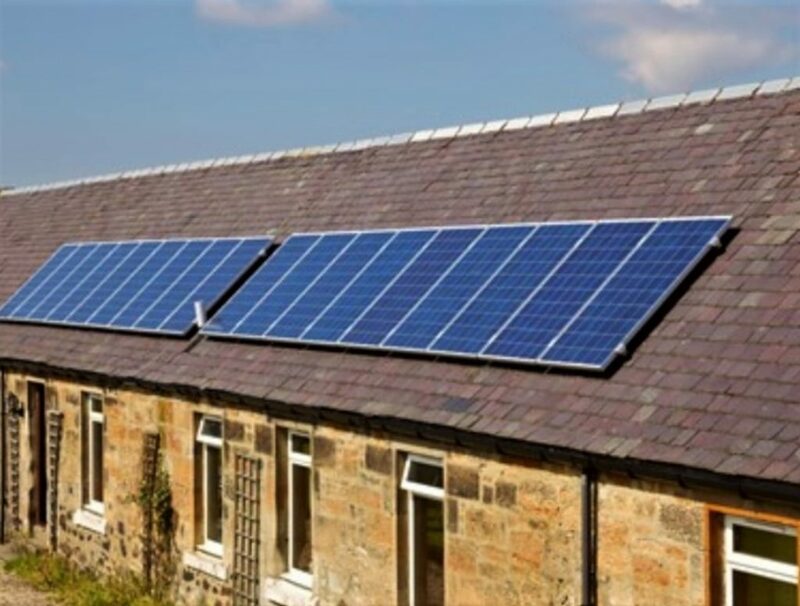 Electricity created from solar PV panels will also be sold off for cash, increasing proffit with our electricians connecting your appliances to the national grid. This will mean that you make money by selling the electricity you have produced back to the supplier. Keep in mind how much energy is going to cost in future. There are no moving parts in the modules Solar PV modules and they should last in excess of 25 years. After this time the cells will still continue to produce electricity, but at a less efficient rate. This lifespan is stated within the manufacturer’s guarantee which is handed over to our customers with every installation for extra piece of mind. One of the requirements for Solar PV is for an EPC inspection to be carried out. Most other companies ask that you get this done by a private EPC inspector before hand. We carry out EPC inspections as part of our package and this will ensure your installation runs smoothly with no complications. Lightning can cause damage and does so quite often even here in areas such as Conwy, Anglesey and Gwynedd. It causes damage either from a direct strike or from surges due to a nearby strike. Induced surges are the more likely cause of lightning damage in the majority of installations, especially in rural areas where electricity supplies are usually by long overhead lines may be induced on both the PV array conductors and the cables within the building. A. Gallagher & Son can apply surge protection measures if requested. Where there is a perceived increase in risk of direct strike as a consequence of the installation of the PV system, our company as specialists in lightning protection can be consulted with a view to installing a separate lightning protection system in accordance with BS 6651. 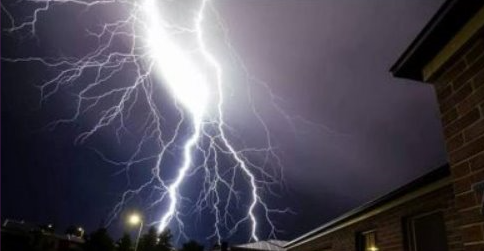 If the building or dwelling is fitted with a lightning protection system (LPS), our company as lightning protection installers can be consulted as to whether, in this particular case, the array frame should be connected to the LPS, and what size conductor should be used. 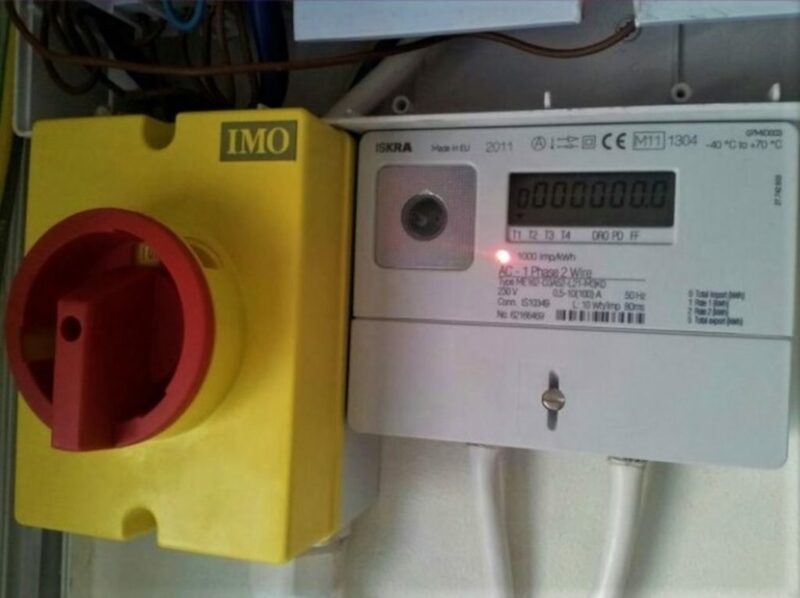 Inspection and testing of the completed system to the requirements of BS 7671 will be carried out and documented by our company. Provision of this documentation is a requirement of Part P of the Building Regulations. Get a quote for inspection and testing today by contacting us by telephone or email. The inspection and testing of existing electrical circuits already within your property will be comprehensively covered under BS 7671 by Gallagher Roofing at time of installation which offers you as a customer, a free electrical safety check for your household. Inspection and testing documentation typically comprises of an installation certificate, which includes a schedule of items inspected and a schedule of test results. We also hand out array commissioning tests after completion, which are panel performance tests recommended to verify performance as a check for faulty modules. Finally we hand out copies of E.R. G83/1 and G59/1 commissioning in order to satisfy the requirements of the Distribution Network Operator. 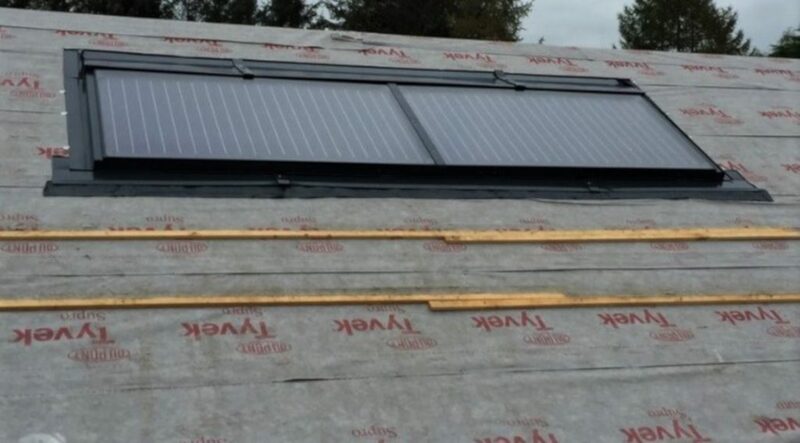 Most installations can be installed under ‘permitted development rights’ and will not require a formal planning application for Solar PV electricity and Solar Thermal hot water systems; where there is doubt, advice should be sought from a Gwynedd, Conwy or Anglesey local planning authority.